If you’re visiting or living in the area and are in need of Haddon Heights auto glass replacement, call on Clear Vision Auto Glass. Our mobile and certified technicians can replace your broken auto glass 24/7 in an emergency, or you can schedule an appointment any day of the week to get your vehicle back on the road safely. We bring out the equipment to repair or replace your auto glass quickly and at a fair price. Windshield Crack and Chip Repair. We can repair and smooth out small cracks and chips before they grow larger. Once a crack becomes larger than a quarter, it could require a much more expensive windshield replacement. Our techs can come out and repair your windshield, often in less than 30 minutes. Full Windshield Replacement. 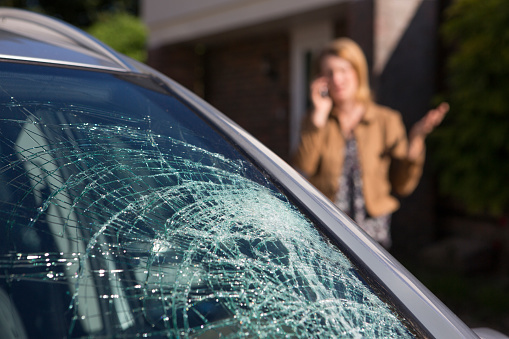 For shattered windshields or cracks beyond repair, our mobile techs can come out and fully replace your windshield. We install the original equipment equivalent glass, or try our aftermarket equivalent glass, which is less expensive and works just as well. Power Window Replacement. When you take your car to a dealership for power window replacement, you’ll likely pay far more than you should. We can fully assess the damage to your power window, bring out a replacement and parts, and fully install your new window, including vacuuming any shattered glass. Call on Clear Vision today for your Haddon Heights auto glass replacement needs, or click here to request an estimate online. We’re here to help you see the road clearly again.